NOTE: THIS SHOE SALE IS NOW CLOSED! THANKS TO ALL WHO PURCHASED! During my pregnancy my feet grew half a size. And they never went back. For a shoe-a-holic, this is not a good thing! I would love to buy a new pair of my beloved Frye Campus Boots this year in a size that actually fits, but in order to fund this endeavor, I am selling some shoes that no longer fit me. I'm super sad about this because I loved these shoes! (well, most of them). Before I put them up on eBay, I thought I'd list them here and see if anyone wants them. If you want to purchase a pair, please email me at: francescarussellphoto@gmail.com. First person who emails me wins the shoes. We can arrange payment through Paypal. I will probably ship all UPS Ground. FRYE SABINA BRAID BOOTS, Size 7.5 - $100 plus shipping. These are no longer available through Frye. You can find them on eBay for $150-$250. I've had these boots for about ten years now and I wore them on occasion, but not regularly, so they have some wear, but not a lot. The sizing on these runs small and narrow. 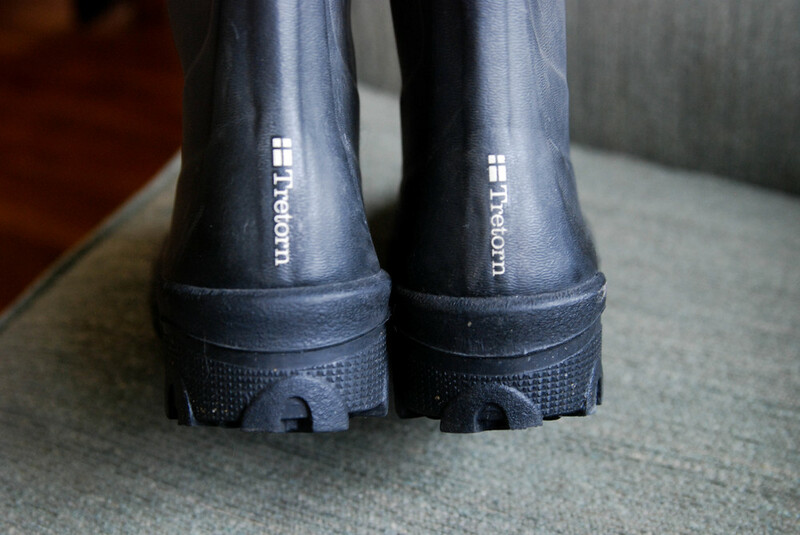 TRETORN LACE-UP RAIN BOOTS, Size 39 - $45 plus shipping. - SOLD!! 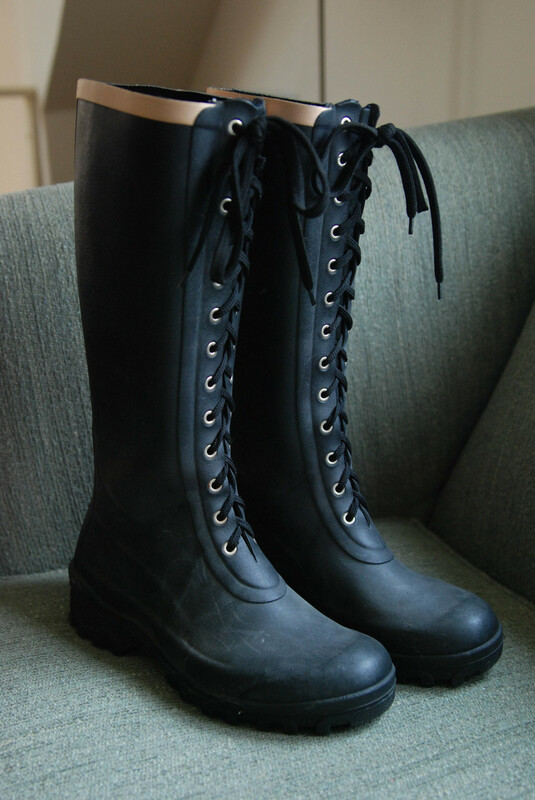 These are actually a bit too big on me and they make my legs hot, but are really cute rain boots! Perfect for sloshing around in the mud! I've only worn them a couple of times. WOMEN'S BLUNDSTONE'S, Size 38 - $50 plus shipping. DR. MARTEN'S 14 HOLE BOOTS, Size 6 UK - $85 plus shipping. - SOLD!! These are seriously brand new. I wore them once out of the house. Try as I might, I just can't break them in - but maybe someone else can. They list for $140 on Zappos. SPRING ANKLE BOOTS, Size 38 - $30 plus shipping. These were an impulse buy at the Zappos outlet in Kentucky. I've never worn them. FRYE CAMPUS BOOTS, Size 6.5 - $85 plus shipping. - SOLD!! 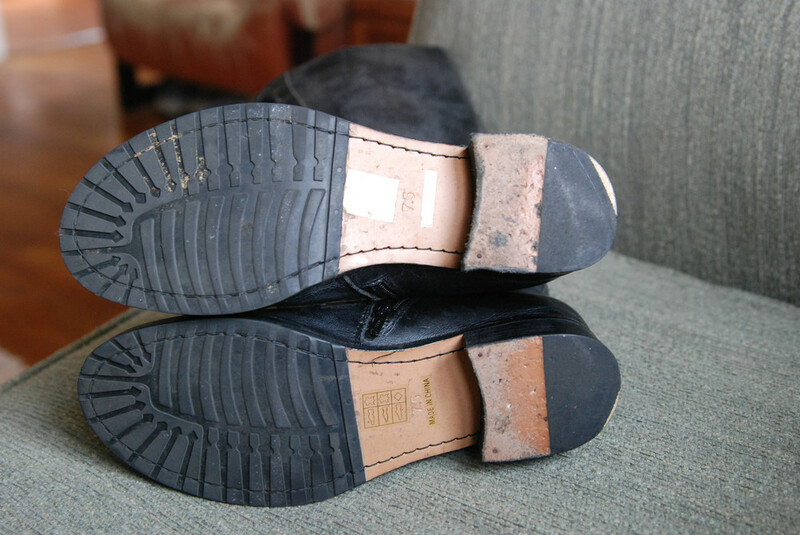 These are beloved and well-worn. They could do with a good polishing and the heel should be replaced soon. I hate to part with these, because they really are my favorite boot, but I need a bigger size (that being said, these must run big because even pre-pregnancy I wore a 7.5 in other shoes). 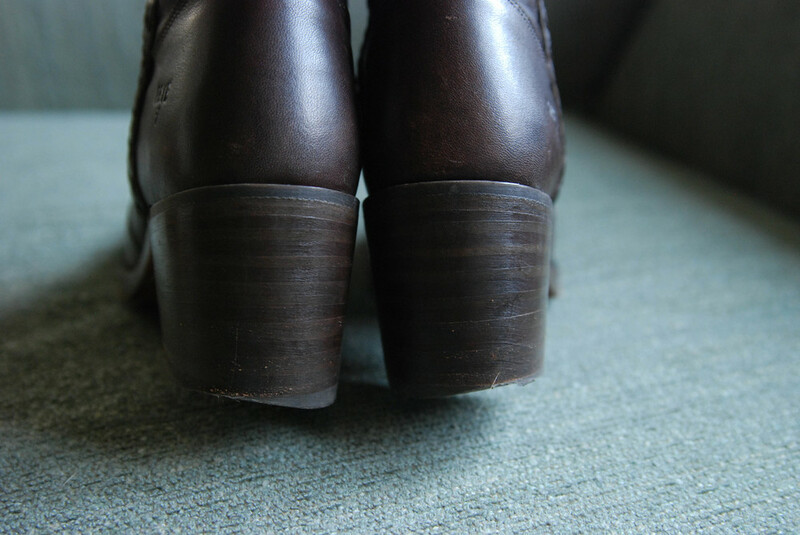 These boots last FOREVER even when you wear them everyday - you just need to replace the heel every now and again. KEEN FLATS, Size 8 - $60 plus shipping. These are brand spanking new. I've worn them once. They're just not really my style. Very comfortable. MIZ MOOZ LACE-UP BOOTS, Size 7.5 - $80 plus shipping. - SOLD!! I'm so on the fence about selling these because I really love them, but I think I have to. Too small for me. Very little wear - they sat in storage for a long time while I was on tour, so they could use a little sprucing up with polish, but otherwise in great shape.